Last week, Alethea Kontis stopped by for an interview to talk about HERO, ENCHANTED, and upcoming books. Check out last year's review of ENCHANTED! 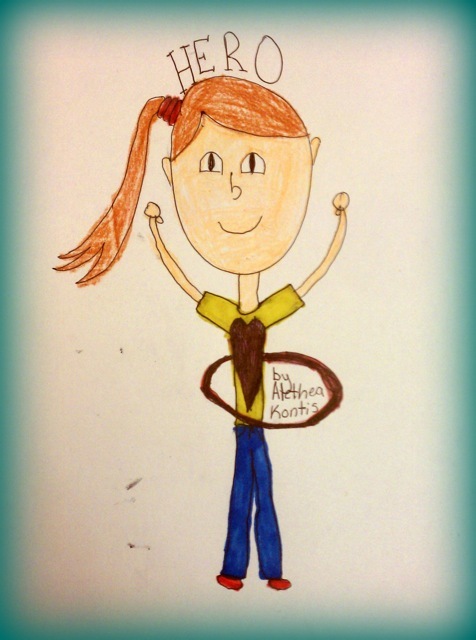 Alethea is a huge fan of Fairy Tale Fortnight and wanted to reveal some exciting news with us during the event! they think the new design will sell a lot more copies. Are you ready to see the new design? Okay, no, you've got me....that ISN'T the new cover. But I had to get a joke in on the blog SOMEWHERE today, right? 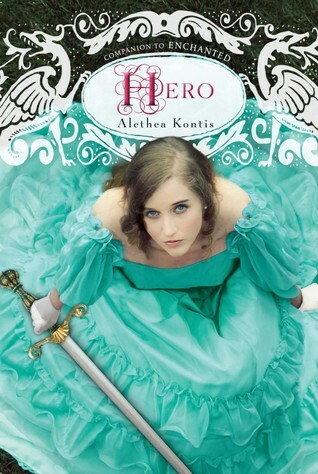 It would be kind of cool if we had Alethea's own handiwork as a cover, though. I like that they're keeping the shape of the logo, which is something I would have missed. And it's illustrated now instead of with a model! I always like the talent behind illustrated covers. They're keeping the green dress, too, and I really want to know what's going on in this scene, don't you? I think they must be going for the manga crowd with this new design, how about you? At the moment, I miss the originals, but these will grow on me over time, I'm sure! They're still working on the re-design for ENCHANTED, but should be revealing it on Alethea's blog soon...possibly even during FTF if we're lucky! So what are your thoughts on the new cover? Very interesting redesign! It gives the book a completely different vibe. 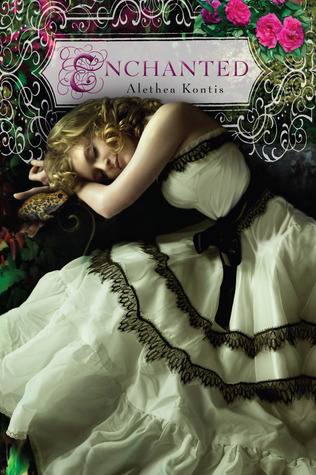 The original makes it look like a sweet fantasy/fairy tale and while I don't love the cover, I do love the type of books it advertises. I would definitely add that book to my reading list and try to get to it sooner rather than later. The new cover makes me think of a comic book. I could see boys picking up that book as much as girls. It seems like it would have a lot more action, but even more importantly, it completely drops any sweet, light vibes that I got from the first cover. This one seems darker and while fun, I'm not sure the story is for me. I would probably read it, but I'd put it lower on my TBR and not expect to like it as much. Though, for a purely artistic standpoint, I do like the second cover a lot more than the first. I really hope the new cover will genuinely look like soemthing guys OR gals could love. Saturday is a fighter!! You might be happy after you read this! 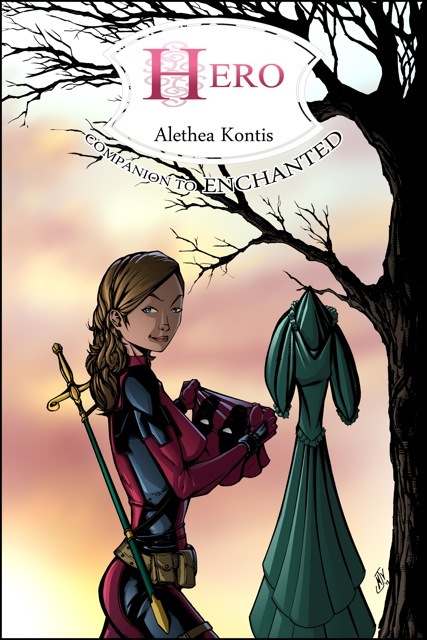 But...you'll still want to stalk Alethea! LOL -- Bonnie, thank you for all your help with my April Fool's prank!